Trophy-holders Esperance of Tunisia became the first qualifiers for the CAF Champions League quarter-finals after a routine 2-0 home win over Horoya of Guinea in Group B Friday. 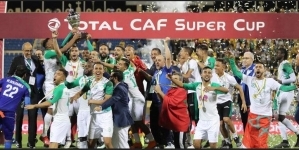 Malian Hamed Assoko conceded an own-goal midway through the first half to put the three-time African champions ahead at the Stade Olympique in the Tunis suburb of Rades. Esperance needed a second goal to be sure of success and it arrived seven minutes from time through Cameroonian midfield enforcer Franck Kom. Victory for the Tunisian outfit maintained the last unbeaten record in the competition this season and guaranteed they will top the final standings. The disappointment of Horoya was diluted by news from the other end of the continent that Orlando Pirates of South Africa were surprisingly held 2-2 at home by FC Platinum of Zimbabwe. Pirates’ failure to win in Soweto means they must take maximum points from an away fixture against Horoya in Conakry next Saturday to overtake the Guineans and finish second. The top two finishers after six rounds in the four groups advance to the quarter-finals stage of the Champions League, the elite African club competition. Esperance have 11 points after five rounds, Horoya seven, Pirates six and Platinum just two from their first group-phase appearance. Horoya centre-back Assoko has scored four goals in the Champions League this season, but two have been own-goals with his latest misfortune coming in Tunisia. Kom, a midfielder more accustomed to preventing goals than scoring them, netted his first of the campaign to ensure Esperance of a third consecutive two-goal home victory. Given a bye to the group stage because of fixture congestion, the Tunisian club are hoping to become the first club since Al Ahly of Egypt in 2013 to achieve back-to-back titles. A Platinum side without a win in six qualifying and group matches were given little chance of dodging defeat away to Pirates, the 1995 African champions. But after Nelson Tigere missed a penalty, he put the Zimbabwean outfit ahead and Rainsome Pavori doubled the lead before half-time at Orlando Stadium. 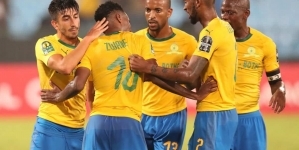 Platinum retained the two-goal advantage until nine minutes from time when unmarked Thembinkosi Lorch beat goalkeeper Petros Mhari at his near post with a low drive. The goal galvanised the Soweto Buccaneers and Zambian Augustine Mulenga slammed a loose ball into the net on 87 minutes to raise hopes of a dramatic victory. Platinum survived a late onslaught, however, to end a run of three straight losses despite having centre-back defender Kevin Moyo red-carded. Meanwhile, Group C leaders CS Constantine of Algeria surprisingly fell 1-0 at home to Club Africain of Tunisia and surrendered an eight-match unbeaten record. 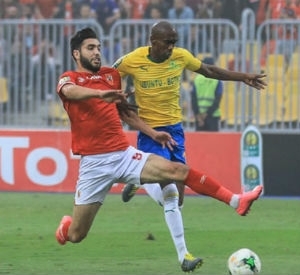 Ismaily of Egypt dropped out of contention for a quarter-finals place after being held 1-1 at home by five-time champions TP Mazembe from the Democratic Republic of Congo. 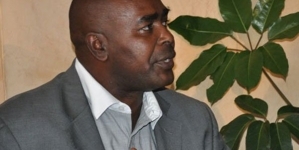 Constantine (10 points), Mazembe (eight) and Africain (seven) are in the running to make the knockout phase with the odds favouring the Algerian and Congolese clubs. 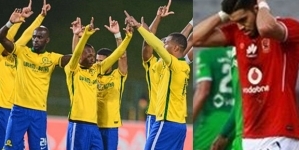 AFRICAN GIANTS, AHLY, SLAUGHTERED IN SOUTH AFRICA!